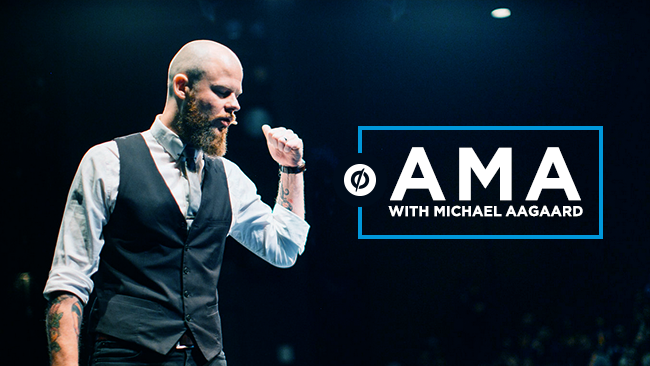 If you’re serious about conversion rate optimization, then you’ve likely heard of Michael Aagaard: founder of ContentVerve.com, international speaker and, as of this year, the Senior Conversion Optimizer at Unbounce. Simply put: he’s the guy you want in your corner when you’re prepping your next A/B test hypothesis. Well, we’re making that happen. Unbounce’s Senior Conversion Optimizer Michael Aagaard. Now’s your chance to get answers to those burning conversion queries that disturb your slumber (to make sense of the marketing mayhem that fills your waking hours). All from the comfort of wherever you are right now. Seriously — now! Scroll down to the comments section and ask your question! Whether you’re wondering about conversion research, formulating a hypothesis or what it’s like to transition from being a consultant to working in-house, Michael will be answering live on the blog on Monday, November 30th at 1 – 4 PM EST (10 AM – 1 PM PST).